No matter where, or in what manner you have spent your winter, the onset of spring always feels like something fresh and new is on the horizon. As winter moves out, little bits of green start toappear in the garden in its place, and life renews itself, again. Spring feels like a season of hope, where anything is possible. We wish you a lovely stay at our hotel for family in Barcelona. Should your visit to Barcelona, coincide with this jubilant time of year, what luck! There are so many lovely events that take place in Barcelona in the spring, and as it is not high season, the crowds are a bit thinner also. Of course the main event is Easter. Not just Easter Sunday, but the whole week! This period is called the Semana Santa, the Holy Week, and it is celebrated throughout Catalan. There are many celebrations, church services, parades and outdoor markets. Businesses may be closed all together, or have varied hours, so check with your hotel to get an idea. Lent is the time of year that precedes Easter, when Catholic’s and Protestant’s observe fasting, alms giving and prayer. It lasts for 42 days, minus Sundays, and it is observed in Barcelona. Leading you through Lent, and up to Easter, is a unique Catalonian personage named La Vella Quaresma, which translates to Lady Lent. Considered the embodiment of “Lent” you will see old Lady Lent hanging around town in paper or wood form, depicted as an old woman with seven legs. She is carrying a basket which usually contains cod and swiss chard to remind observers to avoid meat. As part of the tradition, poor Lady Lent losses a leg each week leading up to Easter, as a sort of countdown. 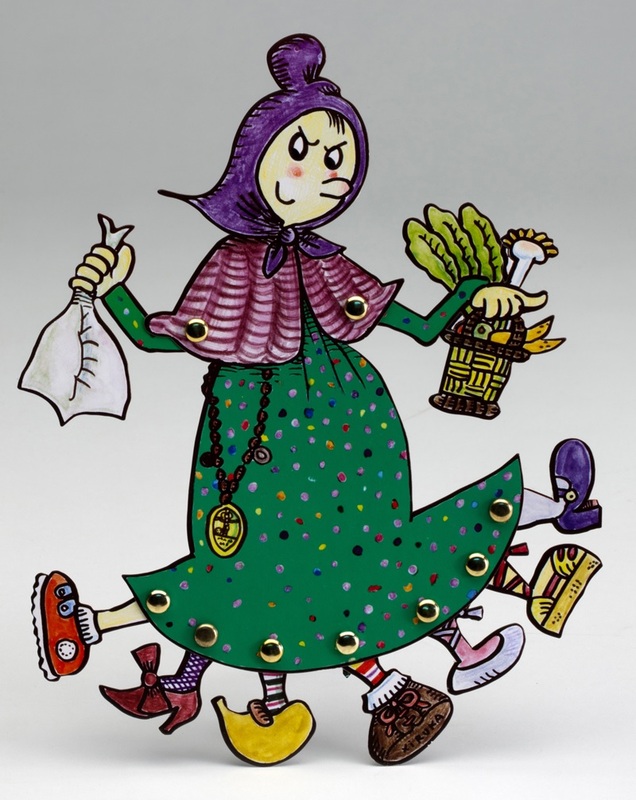 Children are reminded on Fridays that if they eat meat, old lady Lent will come for them! April 23 on Saint George’s Day. The mythical St. George is also the patron saint of Barcelona and it is on his day that they have chosen to celebrate amor. St George is a good choice to represent love. Famous for slaying (or subduing) a dragon to save a Princess, and presenting her with a red rose which sprang up on a bush that instantly grew on the very spot the dragons blood was shed, it is a romantic story. To make it even more interesting, April 23 is also the date that Shakespeare and Cervantes passed away. 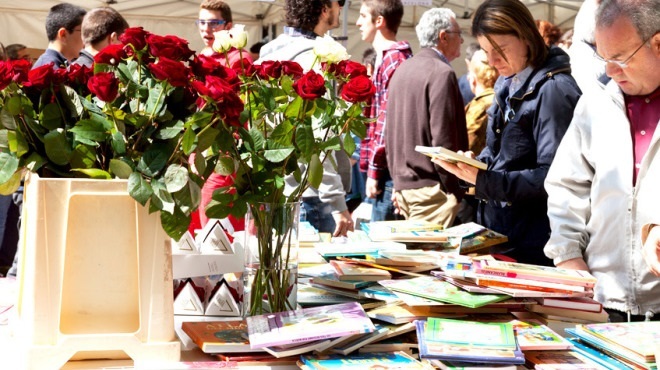 Therefore in Barcelona which has a large publishing industry, Valentines day is celebrated with a man giving roses to his lover and she in return giving him a book. Booksellers line the streets and lovers seek out the stands for something fitting. Spring festivities in Barcelona don’t stop with Easter and Valentines Day! There is also the formula one racing at the Spanish Grand Prix, a flower festival in nearby Girona, music festivals and more. Suffice it say, spring is a great time to visit! The Church Of St.Bartomeu and St.Tecla in Sitges.